The Dube vape pen is a decent budget option. It won’t perform with the best but it’s extremely cheap at only $20.99. It also works with all 3 types of product, but it’s best with concentrates. It’s not very good at working with dry herb. We know not everybody has time to read our full reviews. So here is a quick category by category breakdown of the Dube Vaporizer Pen followed by a quick synopsis. 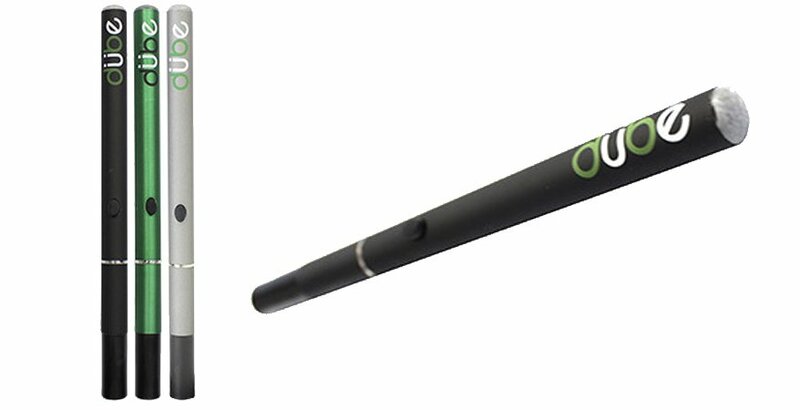 The Dube sets out to be one of the most affordable multi-use vaporizer pens on the market. Does it manage to succeed or does it just fail at juggling so many balls at once? The simple pen-like design makes this a fairly incognito device. It isn’t blatantly vape-like, and it is small enough to be carried around easily. It also comes with detachable components that allow you to vape a variety of substances. Now previous versions of this vaporizer required you to use your oils, waxes and herbs all in the same chamber. This left behind a mess that was a pain to clean up. The new, improved version uses separate chambers for each, giving you a way to vape what you want without having to worry about meticulously cleaning it after every use. When you load the Dube, be sure not to put too much inside it. Otherwise it will burn your ingredients and not vape properly. Around .2g should be enough to allow it to work at its best. It takes five clicks of the power button to turn it on. The light will flash green once it is turned on. Then you just hold down the power button while you vape. You may want to prime the unit for about 10 seconds to get it to build up enough vapor for a decent draw. This won’t be necessary further into your session, but it’s a good way to start out. This maybe the first vaporizer under $50 that can accommodate herbs, oils and waxes that actually works. Yeah, it has a tendency to burn your ingredients if you take rips that are very big, but it is also a pretty great vaporizer, especially for the price. And if you use it just so, you won’t really have any problems out of it. But what this means is that you are going to have some trouble getting nice, full drags out of it. You have to take smaller, more measured draws to get a good-tasting vape and to ensure that you don’t burn your contents. It’s certainly not the worst experience in the world, but it isn’t as great as some of its competition either. This can be a finicky unit, and you have to watch how you operate so as not to burn what you put inside it. And while all of that is annoying, it is offset by the wonderful price. It’s completely unexpected to get a vaporizer of decent quality that can do all the Dube can at a price point under $100. So while it is not the best vaporizer out there, it holds a lot of value, and we definitely recommend it. The Cora Vape Pen is a sleek device that has an interchangeable pod system that lets you vape both e-liquids and concentrates. Read our review here. Could the eGo One Mini Vape Pen be the entry level device you've been looking for? For just around &44.90 this flagship vape could be in your pocket.